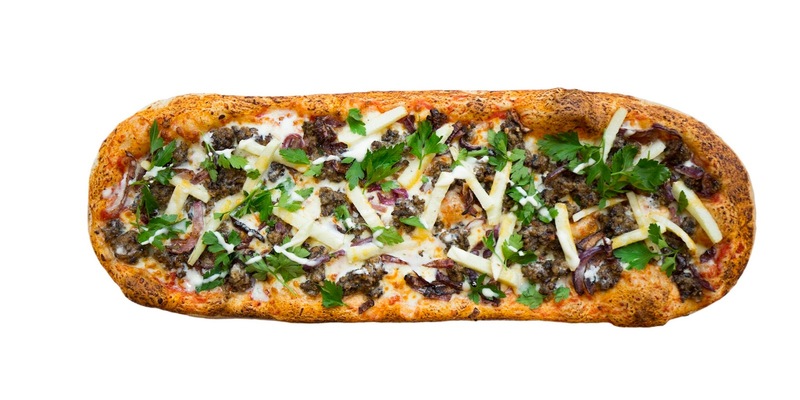 If you love haggis, and love pizza, Edinburgh's new pizza restaurant @pizza has the perfect Burns Night on the menu this week. 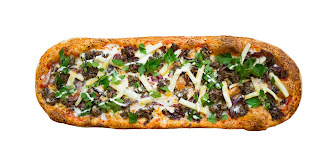 Made with a sourdough base, the Pizza Haggis features classic tomato sauce, Scottish mozzarella, haggis, roast onion, sliced apple with chili, finished with whisky & thyme sauce and flat leaf parsley. Available from Thursday 25th to Sunday 28th January. The special recipe pizza comes paired with Edinburgh Beer Factory World Beer Award winners Bunk Edinburgh brown ale or Paolozzi lager, and a wee piece of tablet for £12.95, or £9.50 for the pizza on its own. Located in the West End of Edinburgh, @pizza opened the doors to its 92-cover counter-serve restaurant in November 2017. Offering customers a large choice of quality toppings, every pizza is fully-customisable, and is created using 48-hour slow-proved sourdough or 100% spelt grain dough that is rolled and stretched on the counter for every order.